After seven years of work, together with studio Lobmeyr, Jack Ink finally finished the 4 meter high shell. After showing it in the Volksbank gallery, VIenna next to the Opera it was then moved to where it is hanging in the Lobmeyr showrooms. A 65 page small flyer is available regarding the construction and concept of this masterpiece. 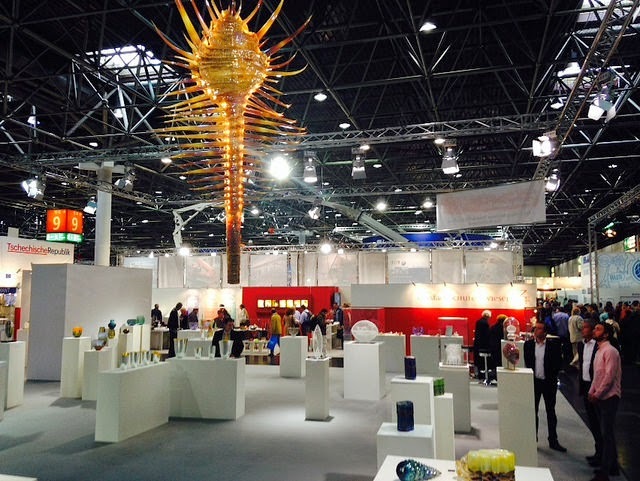 Glasstec 2014 in DUsseldorf is the first time it is exhibited outside of Austria. some tec specs: 4500 metal parts inside glass, 6 collo, glas blown and slumped, available in the colors gold, burgondy red and blue, LED lighting.